There's a new challenge in town - Curtain Call! I really wanted to play in the first challenge, but I have to admit I was disappointed in the inspiration challenge - Feeling Nautical. I know that nautical is the latest trend, but I have so few nautical craft supplies. I couldn't find anything useful in my stamp collection, so I turned to my paper collections to see what I could scare up there. Yay! 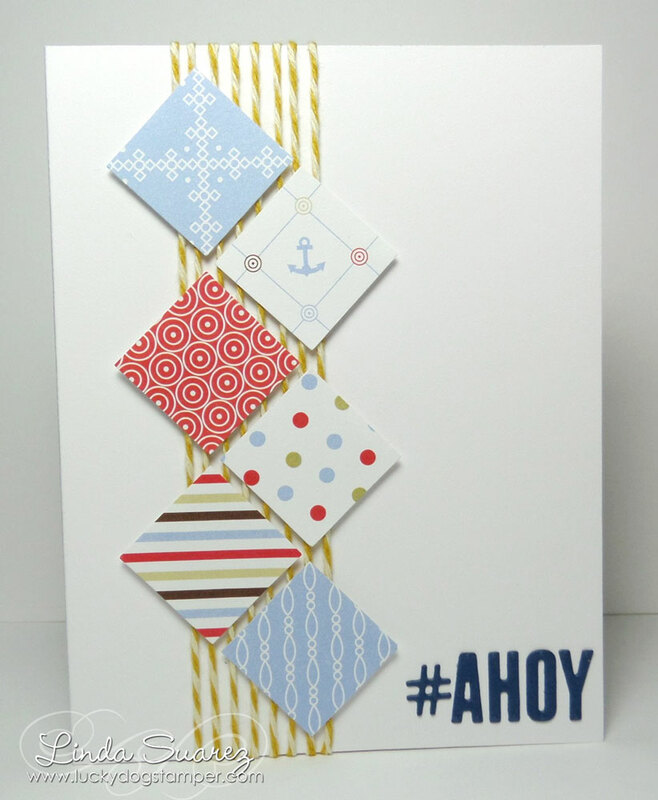 I found my Men of Life collection from Papertrey Ink with its nautical patterns. I added some mustard-colored twine and my new Tall Alpha dies from A Muse Studio to make my sentiment. Well, you needn't be disappointed, because this is awesome! disappointed?! i'm not disappointed at all with your darling card, Linda! it's darling! please include a direct link to the challenge:) thanks so much for playing along at the Curtain Call challenge! Fabulous mix of papers and love the twine behind them! Thanks for joining us at the Curtain Call! Love the papers! 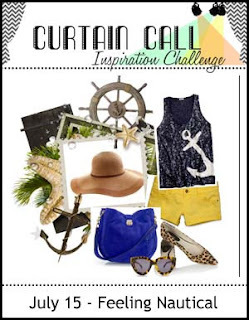 !Thank you so much for playing along with us at the Curtain Call Inspiration Challenge!